Shure has announced the release of its latest series of earphones, the SE102. Packing in the company's Sound Isolating technology, they could be just the accessory to drown out the sound of a packed tube/train/car full of screaming kids. In fact, the company claims that the earbuds will drown out up to 90 per cent of 'ambient' noise. 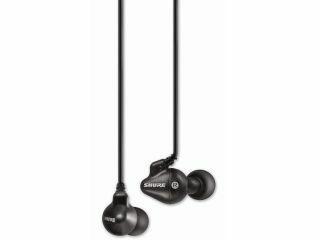 The earphones come complete with an interchangeable cable, a drawstring pouch, and three pairs of buds – so no matter the size of your lugs, the earphones should fit in nicely. Price-wise, you are looking at £52.99, available from HMV – which is a small price to play to get rid of those tinny 'phones that come with a certain Apple-based PMP.